The brain functions better with exercise. Learning a language involves memorizing vocabulary, which helps strengthen the mental muscle.Learning a second language at a young age will always have good cognitive benefits, such as creativity and problem solving skills. It allows a young child to appreciate a new culture and build a better understanding. A child’s brain can accept and learn a foreign language, and fluency comes fairly easily, rapidly, and without accent. LingoSet helps toddlers and young preschoolers learn a new language while immersing themselves in different game based scenarios. I have been testing out my paper prototype and have received great constructive feedback to engross the interest of a young child. My competitors at the moment have built a great platform to learn a new language but they are missing the game aspect and even though they may have a cute logo or design, it still won’t get the attention of a toddler or give them the chance to immerse themselves as a certain character. 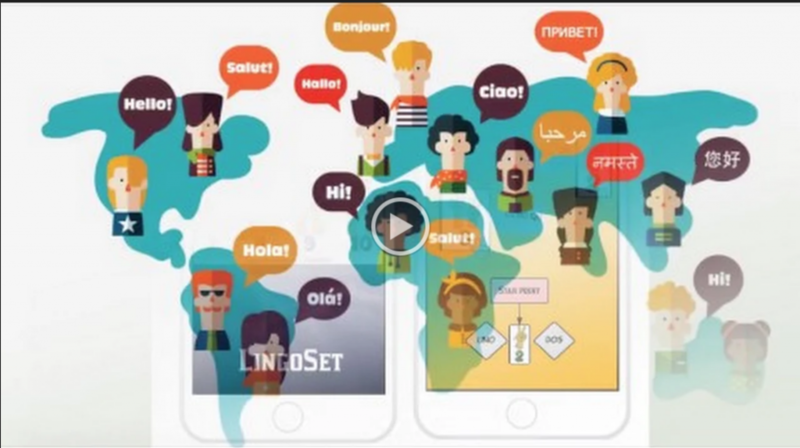 LingoSet is a game based language learning app. Parents can offer screen time without guilt knowing that their child is learning. My first thought would be Freemium. Getting the attention of the mass market and getting constructive feedback would be my top priority.